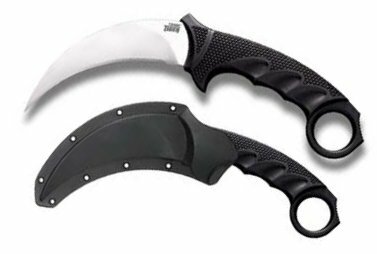 Cold Steel Karambit Steel Tiger. 8 7/8" overall. 4 1/2" AUS-8A stainless blade. Black textured Kraton and Grivory handle with finger ring. Secure-Ex boot clip sheath with neck chain.